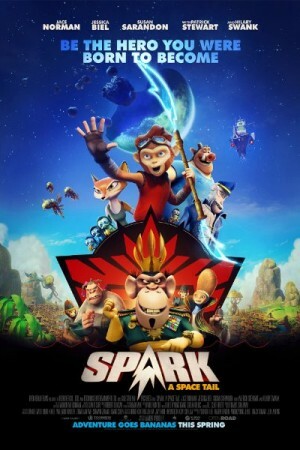 Spark: A Space Tail is a 3D animation film telling the story of Spark, a teenage monkey who is in hiding for many years. He has a back story; his family was destroyed by an evil villain Zhong. Zhong has now some great evil plans of taking over the galaxy and Spark, along with his friends embarks on a mission to stop the ruthlessly powerful villain. Their quest will lead them to the unknown corners of the universe and through this mission of his; Spark will finally start looking for his true identity as a being.